Styled with selkoe t-shirt , the teddy mock neck and the skater pant . 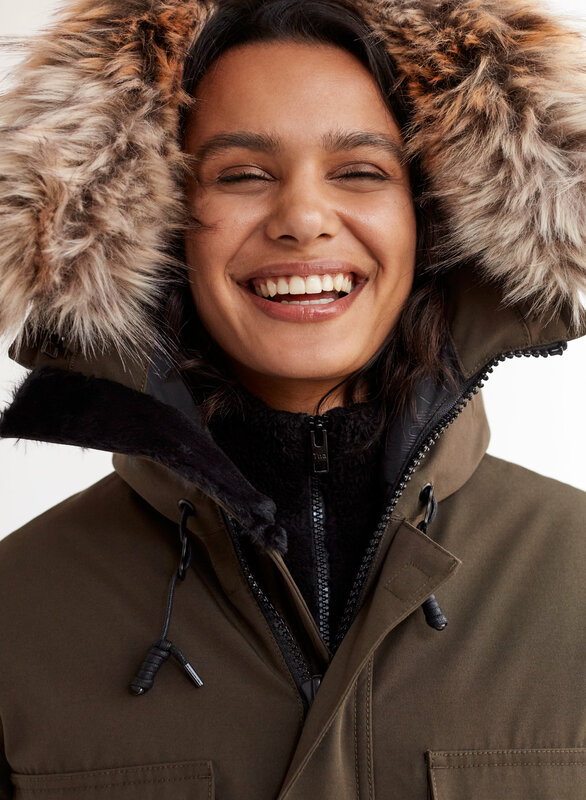 Engineered to deliver warmth to -30°C / -22°F, the Black Tusk is made with water- and windproof fabric with a breathable lamination on the backside to keep you dry. 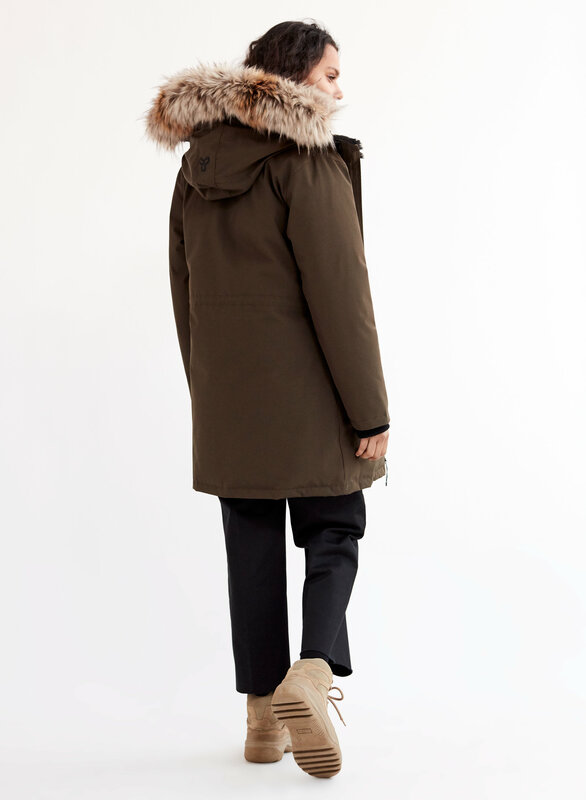 Better still, it’s filled with responsibly sourced goose down and boasts cozy merino wool-blend cuffs. Fits true to size and it’s worth every investment. I’m usually a small but I grabbed a medium to be able to layer, but there’s no need since the jacket will keep you warm! The front pockets are deep and so useful, there’s even a secret inner pocket for keys. I haven’t felt chilly wearing this jacket, it’s a good one to have! Really warm and great fit! It is very warm and stylish. But I do not like when sitting down, the pocket parts are very weird. The big pocket pop up. We bought three.me. My sister and my friend’s daughter. We all like it. Only unfortunately after our purchase.the price went down. 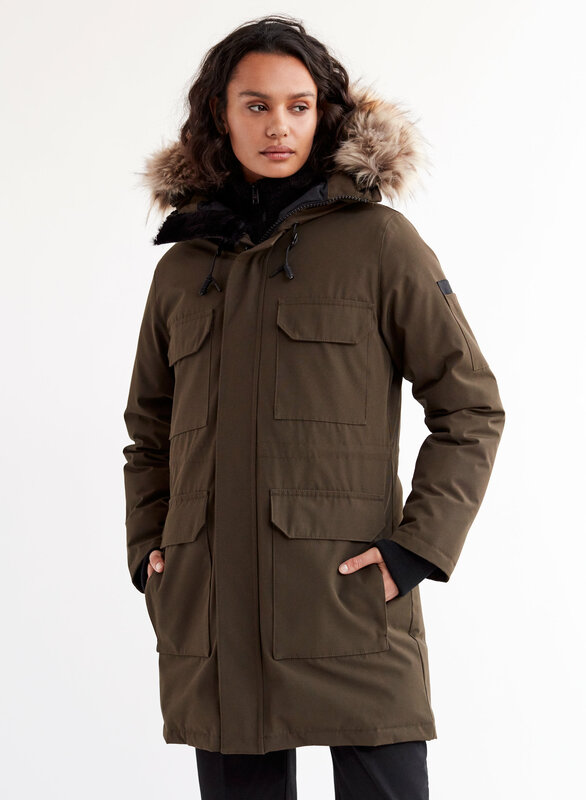 Just the parka I was looking for! 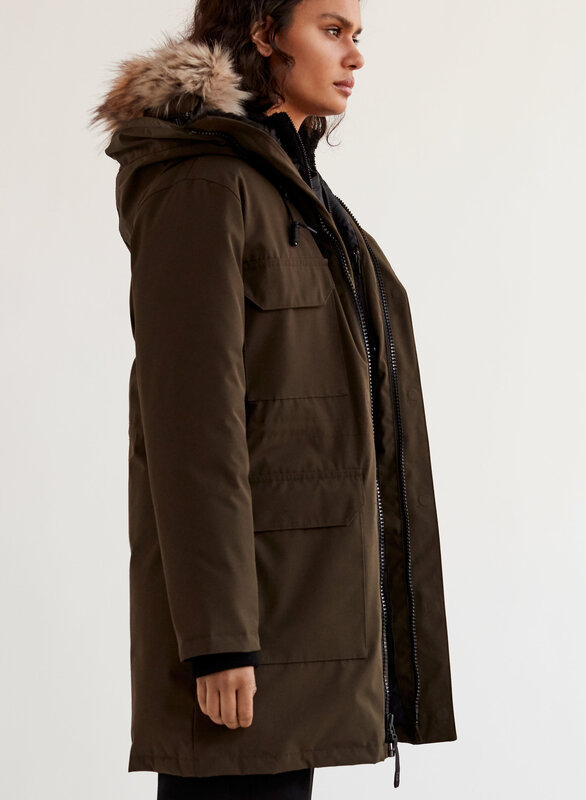 I live in NYC where the winters can get rough and this parka has kept me nice and toasty through below freezing temps. 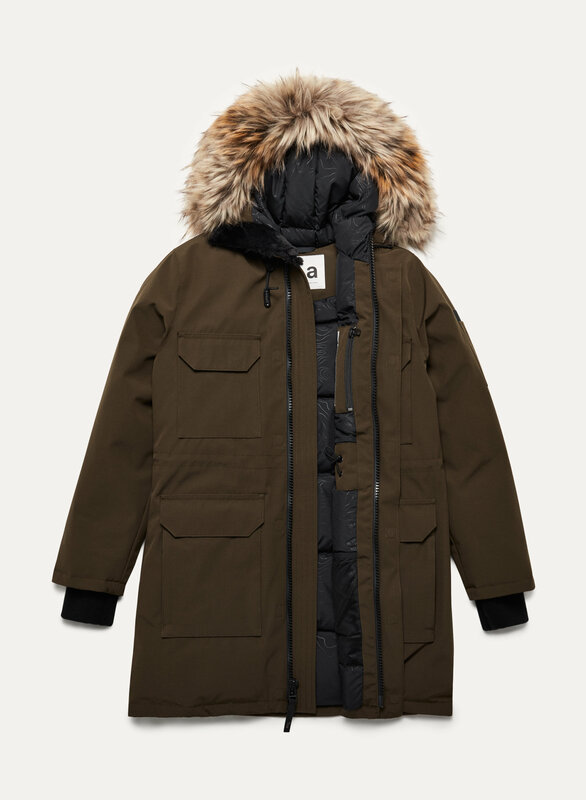 It does run a bit large so I would size down unless you are looking for a more loose fit. 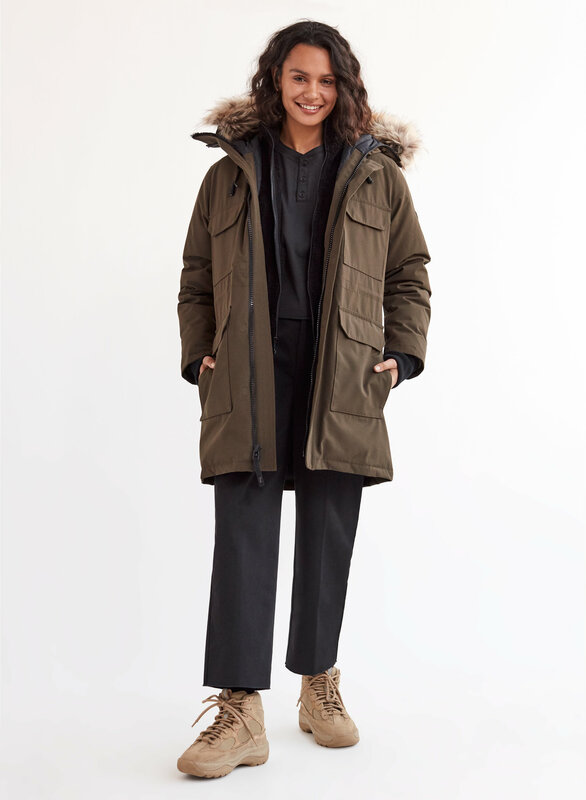 I am 5'3", 125lbs and initially ordered the small but both the overall length of the parka and the sleeves were too long, and there was too much room around the torso even with a thick sweater underneath. I exchanged for an x-small instead which fits perfectly. 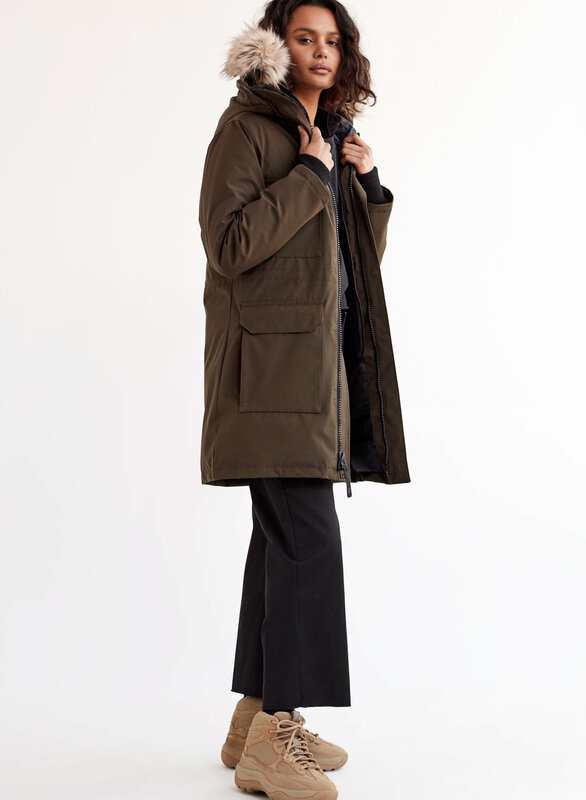 There are drawstrings inside to cinch the coat around your waist as well which really helps to streamline the look. Overall extremely pleased! Love this jacket. Nice color. Super warm. But abit heavy. Unbelievable style, fit and warmth. Has a nice big collar and the details from the fleece around your face, magnetic buttons and pockets all male for a perfect and timeless piece.